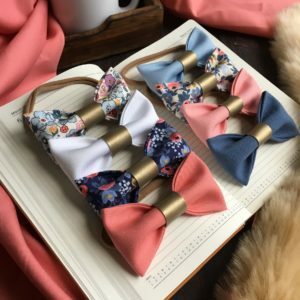 Autumn hairbow set, stunning set of three handmade fabric hair bows, one vintage floral bow, one russet red fabric bow and one navy lace trimmed bow. 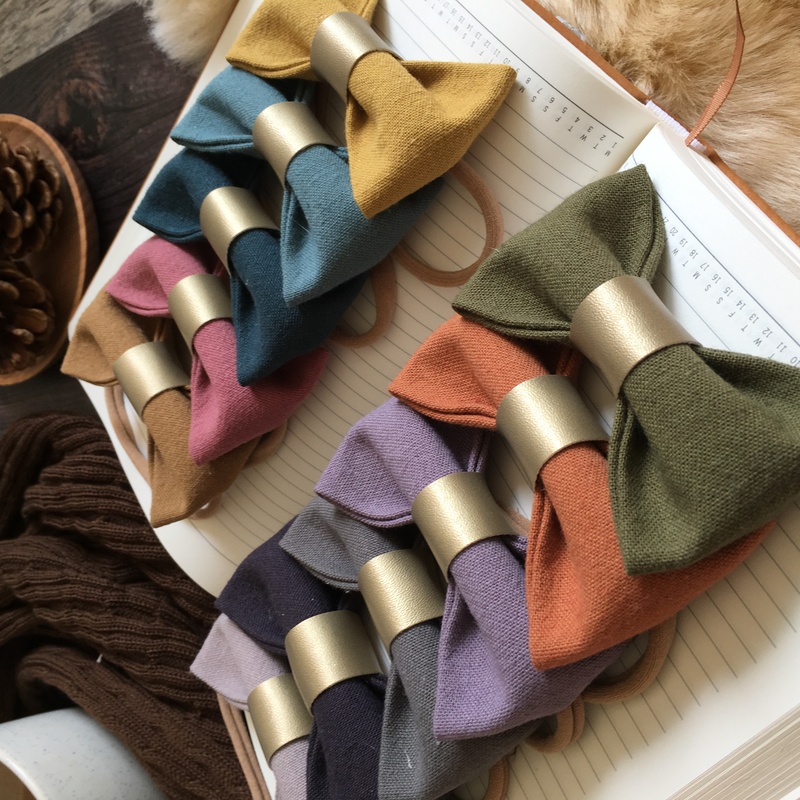 Stunning single Autumn hairbows, perfect finishing touch for those all those beautiful autumn outfits. The Autumn Collection solid colours. 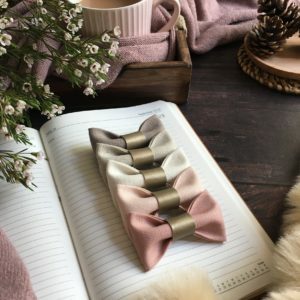 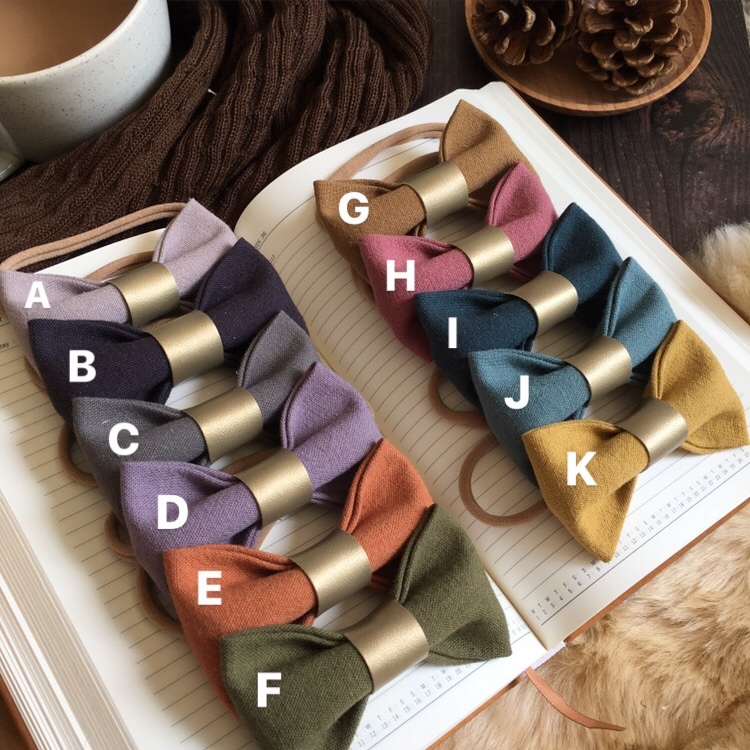 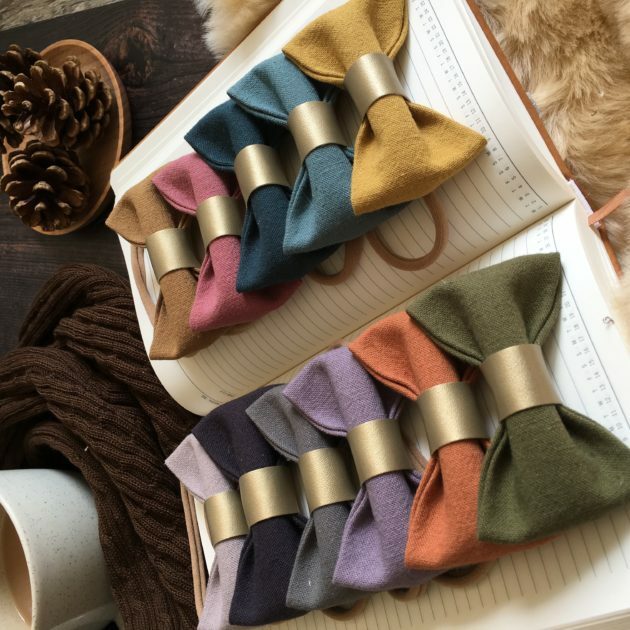 Perfect handmade single autumn hairbows set onto extremely comfortable and stretchy non slip headbands, clips or bobbles. 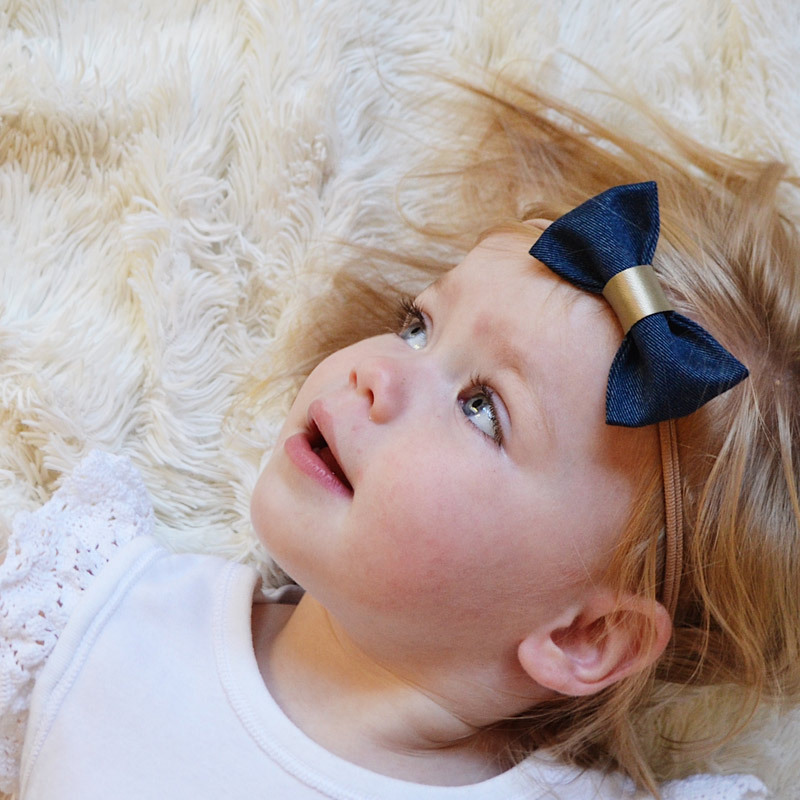 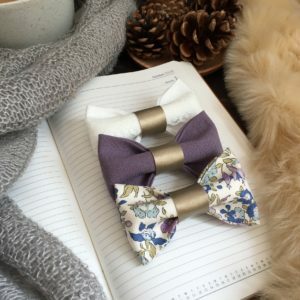 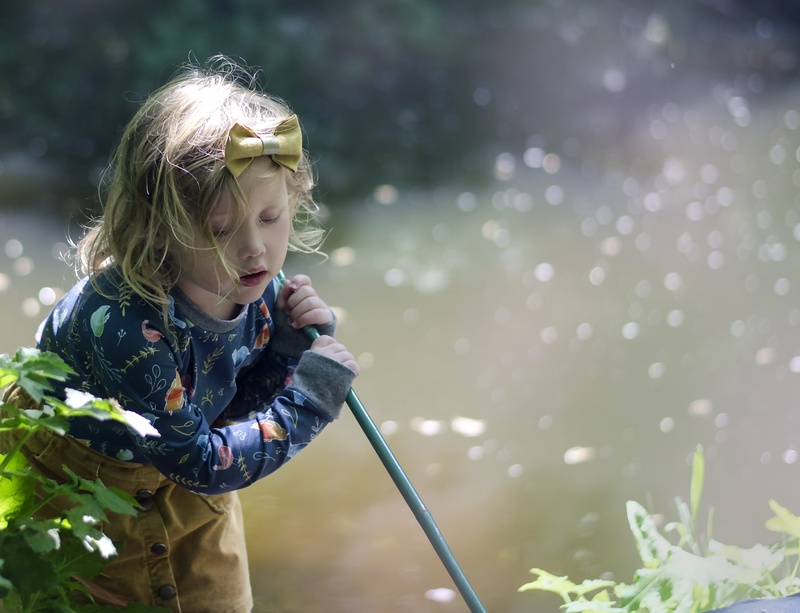 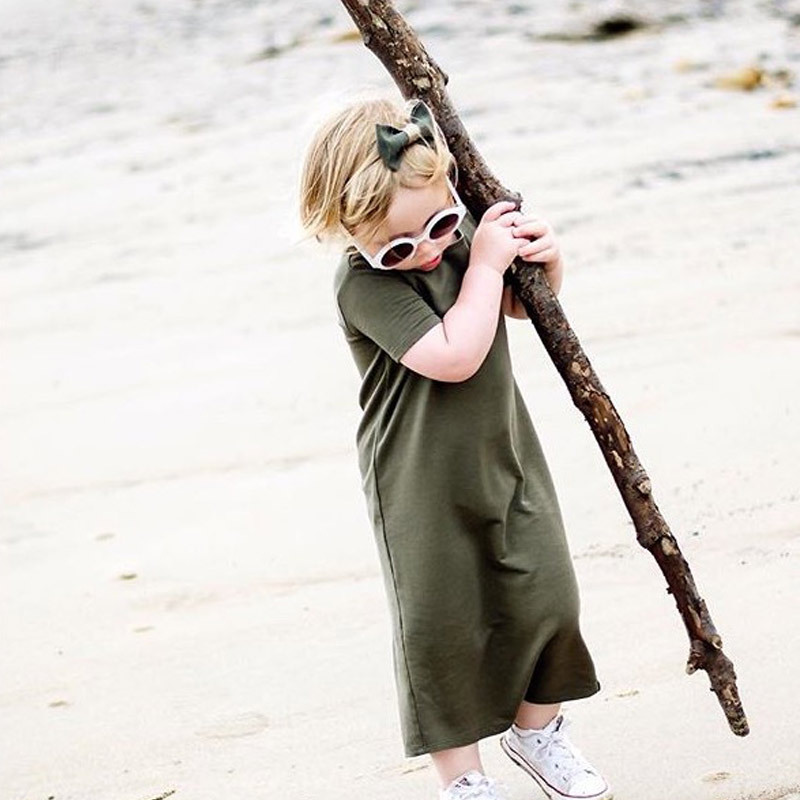 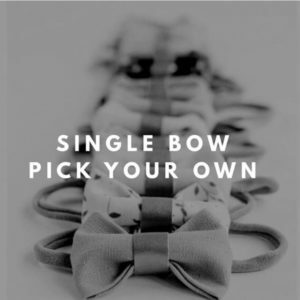 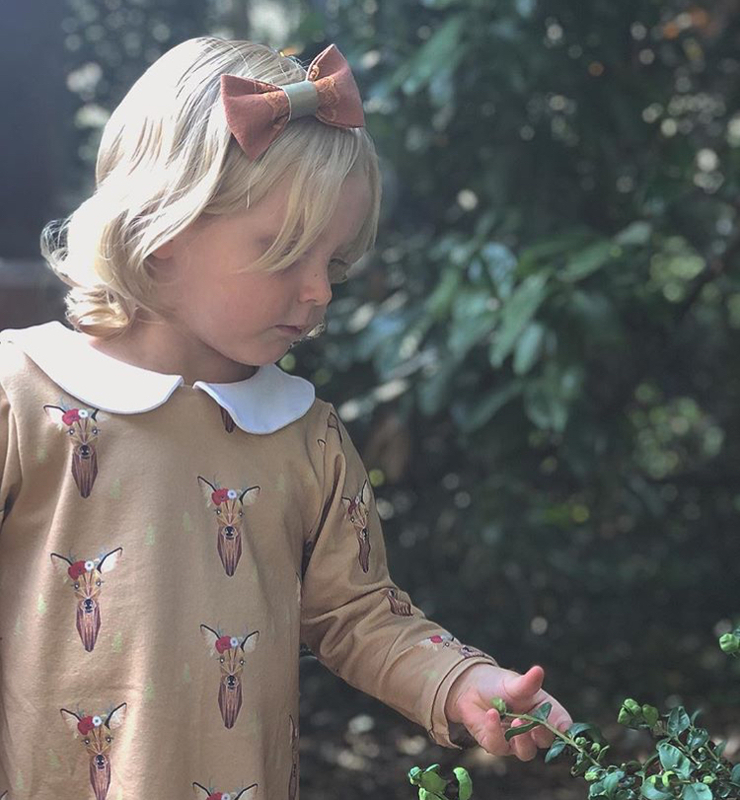 The dainty baby bows themselves are hand made from the highest quality lightweight linen fabrics ensuring they are light and comfortable for baby and won’t leave any marks on precious heads. 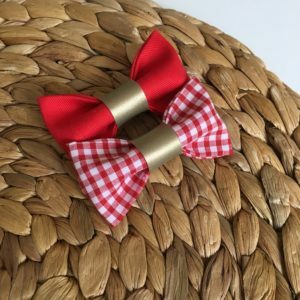 These beautiful single autumn hairbows will fit from teeny weeny newborn all the way to toddler and beyond.